An opportunity to create secure, thriving riverfront communities within a vibrant, healthy ecosystem. Hudson Riverfront communities are looking to their waterfronts as the key to unlocking their economic futures. Yet, as Hurricane Sandy and Tropical Storms Irene and Lee demonstrated, these very same riverfront communities face unprecedented challenges from accelerating sea level rise and the increased frequency of flooding, storm surges and severe weather events. At risk are billions of dollars of critical public infrastructure; thousands of private, commercial and cultural assets; and over 13,000 acres of critical habitats that provide important ecosystem services to people along the entire estuary. The cost of inaction in the face of this “new normal” is huge, but the benefits of creating vibrant, resilient riverfronts are even greater. Ensuring that waterfront communities and the river itself can adapt to this massive, yet incrementally developing challenge promises to be one of the most complex social and environmental issues of this century. We must find solutions that protect people and property and ensure the persistence of coastal natural resources that provide sustaining ecological services for people, nature and human endeavor. The optimal balance will require locally specific tactics that respond to the realities at the water’s edge, and regional strategies that coordinate efforts within a big-picture, long-time-horizon framework. 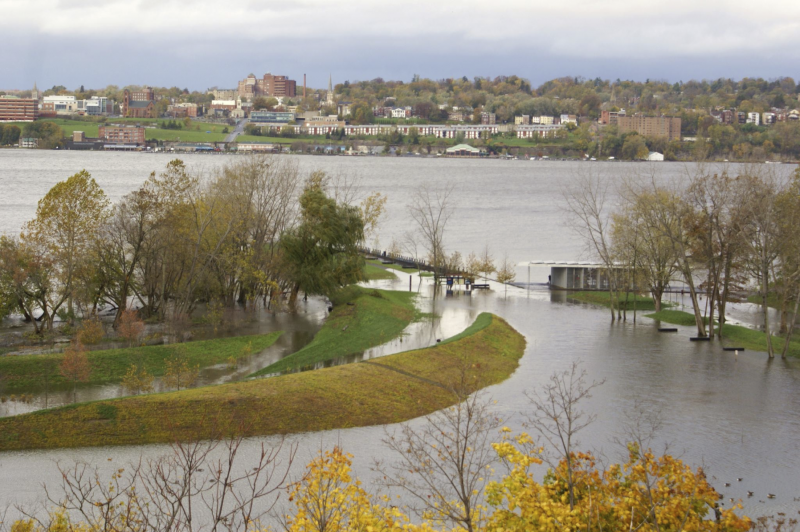 As both a mission-driven organization and a stakeholder owning over 1,000 acres of protected lands along the river’s edge, Scenic Hudson is working to catalyze long-range planning for sea level rise along the estuary. Our goal is to work toward a future that balances and reduces risks to people, property and nature and holds the promise of secure, thriving riverfront communities within a vibrant, healthy ecosystem.